Due to her successful participation in the Boys & Girls Clubs of America’s Youth of the Year competition, Sterling College freshman Alliyah Gray of Hutchinson, Kansas, won the title of Kansas Youth of Year and received over $40,000 in scholarship funds to support her while she pursues a degree at Sterling College. “Being the Kansas Youth of the Year is great! I am the voice of kids across the state of Kansas for the 2015-2016 term. It was a fantastic experience; I gave a speech, completed several interviews and met a lot of great people. It was a great opportunity that has opened quite a few doors for me and my future. I am thankful and beyond blessed to have been chosen to be the voice of Kansas children,” said Gray. Gray, a Club member since she was six years old, was awarded a $500 scholarship when she was named the 2015 Boys & Girls Clubs of Hutchinson Youth of the Year in Dec. 2014. As Hutchinson Youth of the Year, Gray went on to compete against six other students in the state for a chance to represent Kansas at the regional conference. In order to be considered for the Kansas Youth of the Year, Gray had to submit multiple essays regarding her personal brand identity, her club experience and other areas dictated by the Boys & Girls Club of America. She also had to submit a list of her volunteer experience, academic transcripts and plans for how she would improve the local, state and national Clubs for future generations. Gray won the state competition, received a $5,000 scholarship and continued on to represent Kansas at the regional level in Dallas, Texas, on June 2, 2015. The regional competition included a written portion and an oral presentation. In addition, Gray was required to interview with executives from Toyota, who sponsored part of the scholarship. Although Gray did not win the title of Southeast Youth of the Year, she was awarded a $40,000 scholarship for her participation in the regional competition. “The Youth of the Year competition is very important to our program. It speaks to the essence of what the Boys & Girls Club programming tries to achieve. Through our programs, we strive to create young people with high morals and good character. 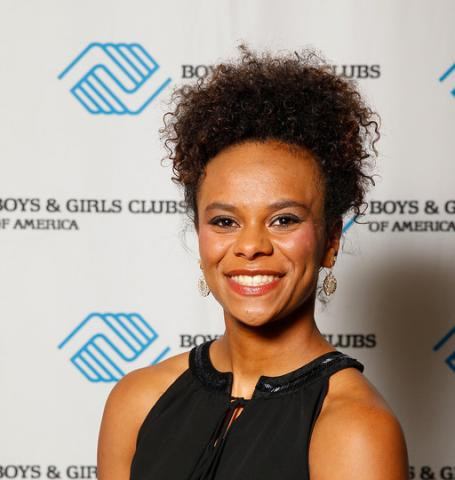 …For Alliyah to win the state competition shows the commitment and drive she has,” said Skip Wilson, chief professional officer of Boys & Girls Clubs of Hutchinson. In total, Gray received $45,500 in scholarship funds from the Boys & Girls Clubs of America’s Youth of the Year competition. Additionally, Gray received Sterling College scholarships for her academic success and her participation in cheerleading and track and field. The Boys & Girls Club is a movement to enable young people to realize their full potential as productive, caring, responsible citizens. Youth of the Year is a way to acknowledge youth who exhibit fundamental characteristics of good character and citizenship, academic success and healthy lifestyles.